Lisa Jardine, née Bronowski, is the eldest child of the late scientist Jacob Bronowski and sculptor Rita Coblentz. Although divorced from her first husband, Nicholas Jardine, she continues to use his surname professionally. She's married to architect John Hare. She is the long-standing Centenary Professor of Renaissance Studies at Queen Mary, University of London. She has been Head of the School of English and Drama, and Dean of Arts, and Director of the Centre for Editing Lives and Letters. She is a Fellow of the Royal Historical Society and an Honorary Fellow of King's College, Cambridge and Jesus College, Cambridge. She is a Trustee of the Victoria & Albert Museum and also sits on the Michael Faraday Prize Committee of the Royal Society. Professor Jardine writes and reviews for all the major UK national newspapers and magazines as well as for the Washington Post, and has appeared regularly on arts, history, and current affairs programs on TV and radio. She judged the 1999 Guardian First Book Award, the 2000 Orwell Prize, and was Chair of Judges for the 1997 Orange Prize and the 2002 Man Booker Prize. She's published more than 50 scholarly articles in peer-reviewed journals and written numerous books, many of them best-sellers. Her book Going Dutch: How England Plundered Holland's Glory, won the 2009 Cundill Prize in History at McGill University, the most valuable history book prize in the world. In 2008, she was appointed chair of the UK Human Fertilisation and Embryology Authority (HFEA). In December 2011 she was appointed a Director of The National Archives and an Honorary Bencher of the Honourable Society of the Middle Temple. In 2013-14 she will serve as President of the British Science Association. 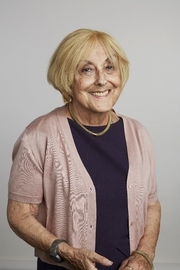 Lisa Jardine is currently considered a "single author." If one or more works are by a distinct, homonymous authors, go ahead and split the author. Lisa Jardine is composed of 3 names. You can examine and separate out names.